Tips For Hosting The Best Thanksgiving Yet! Thanksgiving is one of the best holidays of the year with bellies full of food and hearts full of thanks. As friends and family gather for Thanksgiving this year, it can be overwhelming thinking about how to host a fun and festive meal. We have some tips to make the day enjoyable for everyone, especially the hostess with the mostest. Prepare food In advance! Plan your menu and buy the turkey and ingredients weeks in advance whenever possible. Some stores run out of items as it gets closer to to Thanksgiving and you’ll be able to skip the crowds. Try to make dishes you can prep or even make the night before. 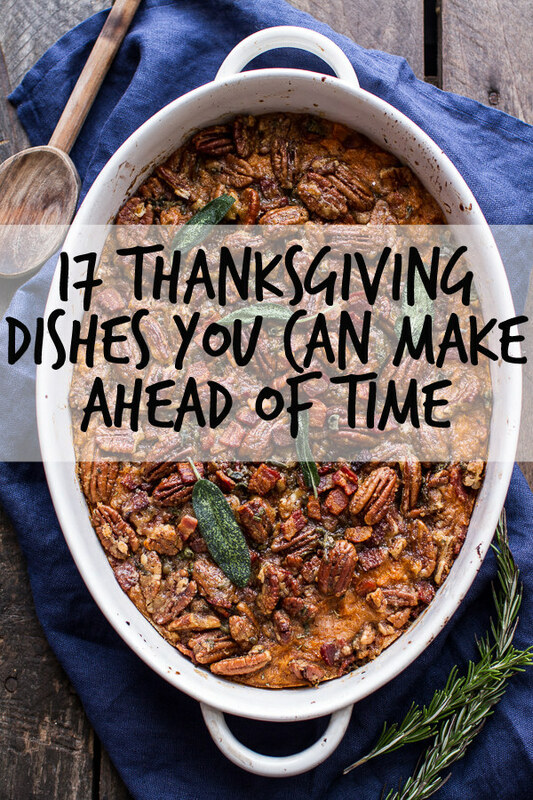 Here are 17 Thanksgiving dishes you can make ahead of time. That way on the day of, you can focus more on the turkey, pies and your guests! Use a turkey roaster to cook the turkey to free up oven space. Here’s a recipe for the most simple Thanksgiving turkey. Additionally, cook sides in slow cookers when possible to free up oven space and time. Slow Cooker Mashed Potatoes – Hint: Use red potatoes to save time on peeling! 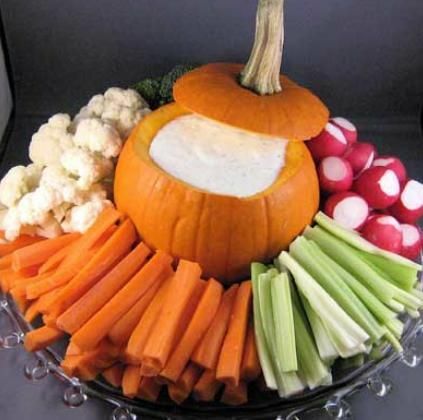 A veggie tray is a good appetizer to have out early because it requires no cooking and it can still be festive! Simple ways to set the table can give the meal a special touch. 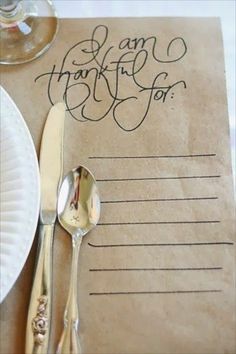 Paper placemats that encourage your guests to write down what they’re thankful for are an easy way to celebrate the reason for the season. 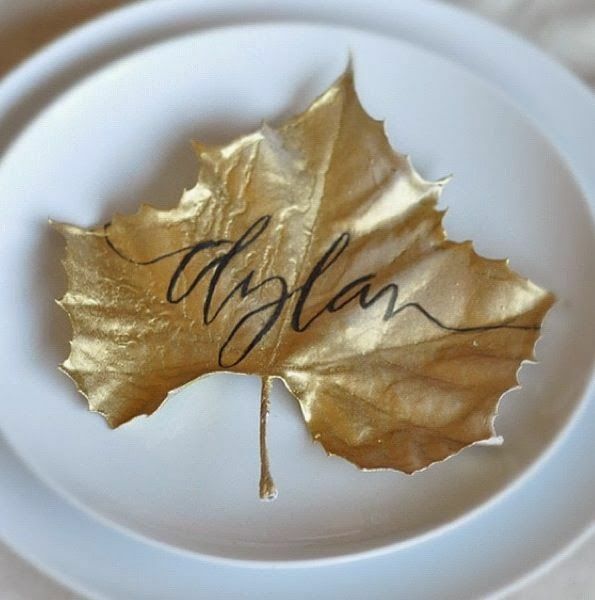 And fall will leave you with plenty of gorgeous leaves, so why not put them to good use as place settings? You can even give them a quick spray of paint to make the look even classier. Then simply get a sharpie and have someone with good handwriting write the names. There are some simple and affordable touches to make your home festive for the holidays. 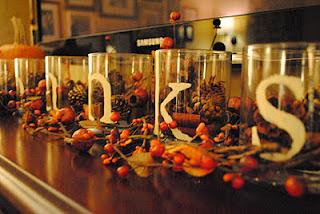 You can visit the dollar store and pick up 6 glass cups and white alphabet stickers to spell the word “thanks.” Simply fill them with pine cones and fall leaves and voila! Put these on the mantle or they could even serve as the table’s centerpiece! 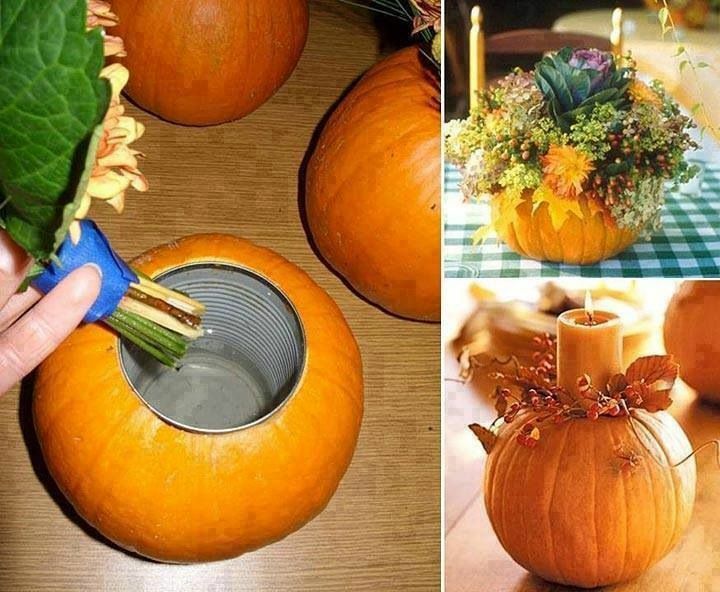 Or you can carve out a small pumpkin and turn it into a vase or candle holder! Your friends and family will be grateful for you hosting and these tips will make it easier. What tips do you recommend when you host Thanksgiving? Good luck and don’t forget to enjoy the day!